(CNS): The Port Authority has 45 days to release information relating to talks between it, the government and the former proposed cruise port developer GLF after the information commissioner ruled that the documents were not exempt under the Freedom of Information law. The port had tried to withhold the documents on the grounds that they would “prejudice the effective conduct of public affairs” if they were made public. However, Jennifer Dilbert said that while sections 20(1)(b) and 20(10(d) were relevant in the case, the public interest test must still determine whether records should be disclosed, and given the importance of the port project she ordered the release. In view of what she described as the need for government to be accountable for its actions and decisions, especially in the light of the high costs involved in the port expansion project, Dilbert ruled that the balance of the public interest weighed in favour of disclosure in this instance. “The port expansion is an exceptional capital project of Government, which has been called “the most expensive‟ of its kind in the Cayman Islands to date, involving construction costs of reportedly close to $200 million. 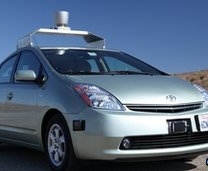 As such, in my view it is entirely proper that this project and the decisions relevant to it should receive very close scrutiny from Government and the general public alike,” the information boss said. This latest decision by the commissioner relates to an application for all notes and/or minutes of meetings between the government and the Port Authority dealing with the GLF talks on the cruise berthing project in George Town. The application was made earlier this year but refused by the authority on the grounds that releasing the information would inhibit the free and frank exchange of views for the purposes of deliberation or prejudice the effective conduct of public affairs. But Dilbert pointed out that these possible reasons for exemption are still subject to a public interest test. In her decision Dilbert reveals that the Port Authority Board was reluctant to release the minutes of meetings as a result of “fear of being labelled or penalized” for what was discussed and decided, which the commissioner noted was irrelevant. She said that a public authority, including the members of a board of directors, must be willing to accept responsibility for its actions and decisions. “This is the essential meaning of governmental accountability and transparency, which, as section 4 makes clear, are some of the fundamental principles underlying the system of constitutional democracy, central to Freedom of Information and a healthy democracy,” Dilbert said. Pointing to the Port Authority’s claim that the disclosure would give an advantage to the individuals or groups which made the request to which they are not entitled, she said this also reflected a bias against openness on the part of the authority. Dilbert said that this was precisely why the FOI law does not require that an applicant provides his real name, or reasons for the request except where the application is for personal information. “It should be irrelevant who the applicant is or what he will use the information for. A record is either open, or it is not, just as government is either transparent, or it is not,” she added as she ordered the Port Authority to release all of the documents requested by the applicant. (CNS): Fernando Mendes pleaded not guilty to three counts of theft and two of false accounting on Friday in connection with accusations that he stole close to three quarters of a million US dollars from Conimbriga Investments Ltd and Finab Ltd. Described in the court as a board director of the companies involved, Mendes is charged with stealing the money from the investment firm and the mutual fund over an 18 month period. He is also charged with making false statements to cover up the financial fraud. Having pleaded not guilty, Mendez is scheduled to face trial in June next year. He was released by the court on bail. Mendes has pleaded not guilty to stealing US $560,427 from Conimbriga Investments Ltd between January and August 2010, plus US $132,807between June 2009 and January of this year from Finab Ltd, and a further theft of US $25,000 on 17 September 2009, also from Conimbriga Investment. The board director who was also a corporate manager of Finab Ltd is charged with falsifying statements in connection with that company and Conimbriga Investments Ltd.
(LATimes): Organizers of Santa Monica's well-known Christmas Nativity scene at Palisades Park are accusing atheists of "hijacking" the tradition. 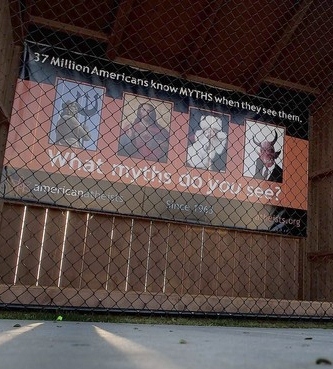 Atheist groups objected to use of the park by churches to espouse a religious message and applied to the city of Santa Monica for their own spaces. Officials used a lottery to dole out spots in the prime location along Ocean Avenue. The atheists turned out to be the lucky ones: Of the 21 plots in the park open for displays, they won 18. The Nativity story that once took 14 displays to tell — from the Annunciation, continuing to the manger in Bethlehem and onto infant Jesus' journey to Egypt and back to Nazareth — had to be abridged to three and crammed into two plots. Jameson said he intends to keep the Nativity tradition many have enjoyed since1953 from being displaced. Palisades Park, he said, is the "historic home where it really belongs." (BBC): A US Army analyst suspected of leaking government secrets is set to make his first military court appearance. Bradley Manning faces charges of obtaining and distributing government secrets – which he allegedly leaked to the anti-secrecy website Wikileaks. The Article 32 hearing will determine whether Pte Manning is to stand trial and is the first opportunity for his defence team to present their case. Pte Manning was arrested in Iraq in May 2010 and is held in military custody. The hearing is taking place under tight security at an army base in Maryland. During the Article 32 hearing, which is similar to a pre-trial hearing, both prosecuting and defence lawyers will make their initial cases and are permitted to cross-examine witnesses. Proceedings are expected to last around five days, after which recommendations will be made to a military general, who will decide whether to proceed to a full trial, according to his lawyer, David Coombs. (PABNews): Shocking figures revealed by the NHS show obesity amongst primary school children is at an alarming level in the UK. One in three children leaving primary school is obese or overweight by the time they leave, according to data released by the National Child Measurement Programme. The study looked at more than one million school pupils and showed numbers to have gone up compared to last year. The 2010-11 figure stands at 19% of 10-11 year olds being classed as obese – a rise of 0.3% over the 18.7% figure last year. Statistics reveal British children are definitely getting fatter as research conducted in 2006-07 revealed the figure to be 17.5%. On the positive side the study by the NCMP showed the number of reception class obese children, between 4 and 5 years old had fallen. In 2009-10 the figure was at 9.8%, currently between last year and this year the figure is at 9.4%. The report has led many people to question the success of the much televised healthy school dinner campaigns, led by Jamie Oliver. 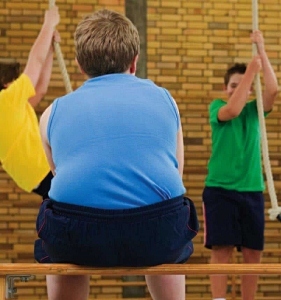 Boys were shown to be fatter according to the report; 34.9% of boys between ten and eleven were either obese or overweight in comparison to 31.8% of girls. Furthermore, pupils from deprived and less privileged areas were shown to be unhealthier and more overweight. London had the highest obesity figures, with urban areas and cities being more prevalent compared to rural areas. 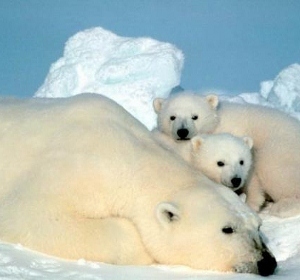 In the paper, leading polar bear biologist Ian Stirling and nature photographer Jenny Ross detail three recent instances of the behavior among polar bears in Norway's Svalbard Archipelago, each of which was photographed from the decks of ecotourism and research boats anchored a few hundred yards away.